We have synthesized a series of mixed ruthenium-copper oxides of general formulae Ba2PrRu1−xCu x O6 with x=0, 0.05, 0.1, 0.15 by high temperature solid-state reaction process. From the SQUID measurements, we observed a strong diamagnetic response on zero-field-cooling (ZFC), meanwhile a ferromagnetic-like transition under field cooling, both at about 11 K. In addition, we also observed a broad transition at about 125 K by SQUID measurements. Electrical resistivity measurements also show a sharp resistive drop at about 150 K, suggesting the presence of a magnetic transition. 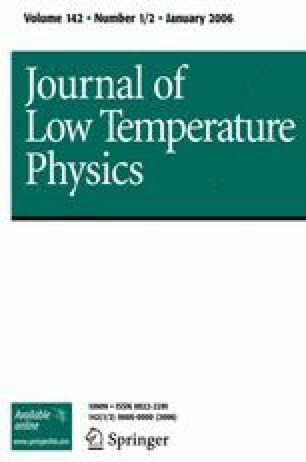 High intensity and high resolution neutron diffraction studies further confirm the magnetic phase transition at ∼100 K into a Type I antiferromagnetic structure.